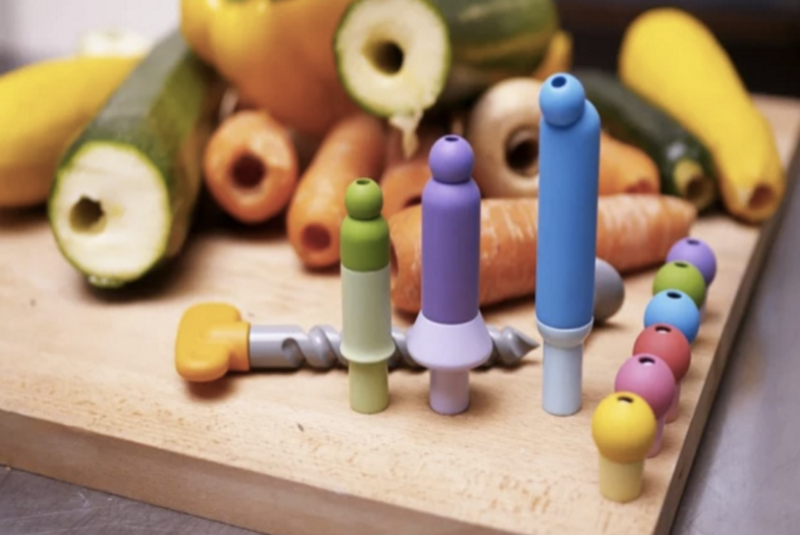 A new project dubbed ‘Player’s Pflute’ sports a charming collection of mouthpieces, corers and measuring tape designed to transform fruits and veggies into musical instruments. 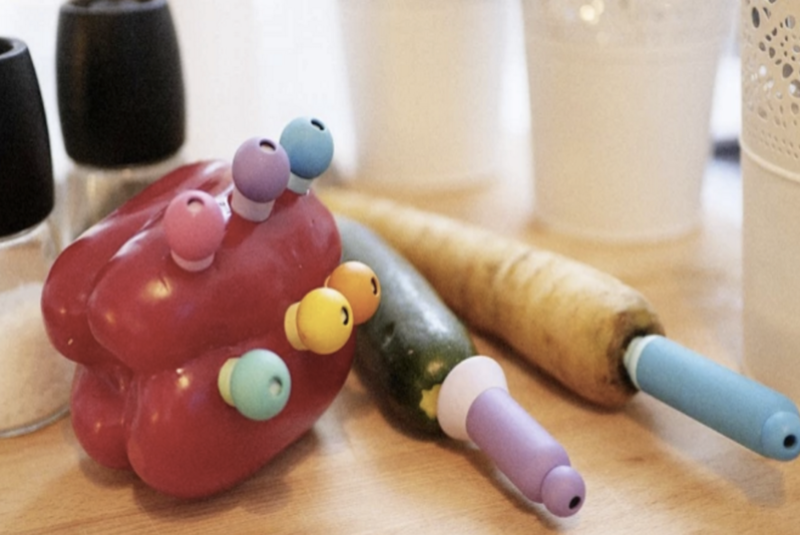 Against the age-old saying “don’t play with your food,” tinkerer Jia Wu’s project turns bell peppers to harmonicas, zucchinis to a recorder/clarinet crossover, and larger foods like pumpkins to gigantic kazoos. The idea for the collection struck when Wu’s friend, a music teacher, conveyed her difficulty getting schoolchildren to take interest in learning to play instruments. While everyone enjoys making music, few enjoy instructions, and even fewer enjoy receiving the ‘less glamorous’ instruments like the recorder. After an initial round of brainstorms, Wu got to work by studying how different devices make sound. By reverse engineering the physics of differing mouthpieces, she then created four types of 3D-printed inserts modeled after a harmonica, bagpipe, clarinet, and whistle. 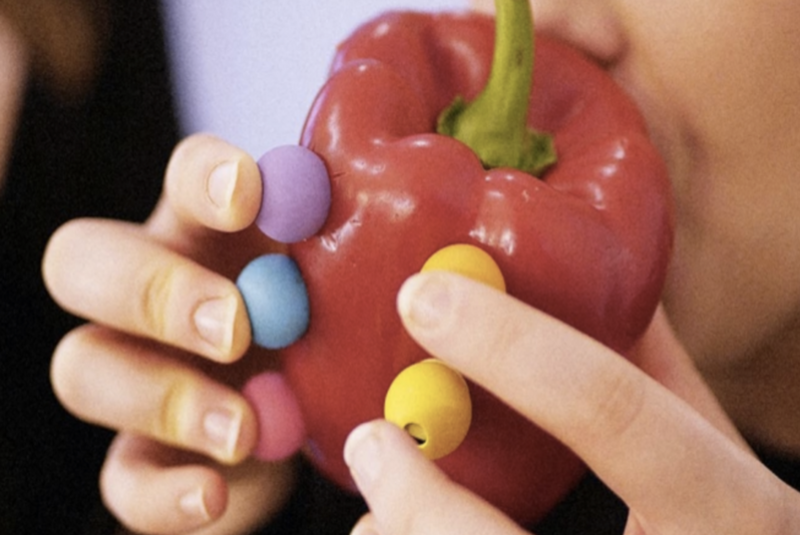 When paired with manually punctured holes in certain spots (determined by placing a hand-crafted ruler atop the produce), anyone is able to emulate the sounds of real instruments using nothing more than a perforated vegetable. Originally designed with plastic bottles, Wu’s breakthrough occurred when she tried fruit, which she found was easier for children to visualize and cut holes in. Plus, with a diverse enough set of fruits and veggies, the colorful produce resembles a toy, and promotes a musical, DIY spirit. Having participated in the Lexus Design Award for her work, Wu currently hopes to find investors to fund mass-production of the Player’s Pflute kits.